Business View Magazine interviews Lynn Stoddard of Sustainable CT, for our American Sustainability Series focusing on the State of Connecticut. Sustainable CT is a voluntary certification program to recognize thriving and resilient Connecticut municipalities. An independently funded, grassroots, municipal effort, Sustainable CT provides a wide-ranging menu of best practices. Municipalities choose from a range of actions, implement them, and earn points toward certification. 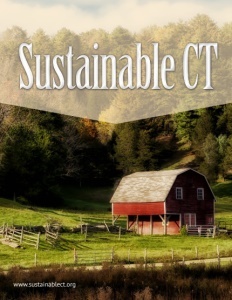 Sustainable CT was created by towns, for towns. 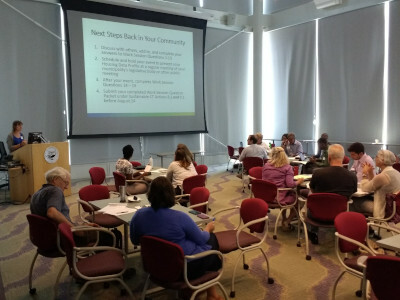 Municipal leaders and residents from across the state, the Connecticut Conference of Municipalities, and people from key agencies, non-profits, and businesses, all partnered to develop the program during 2016 and 2017. Sustainable CT is proud to be a part of the National Network of Statewide-Local Sustainability Organizations (N2S2O) and to co-chair the Steering Committee. Lynn Stoddard is Executive Director of the Institute for Sustainable Energy at Eastern Connecticut State University. The Institute spearheaded and coordinated the development of Sustainable CT and administers the program and certification review, with generous support from the Emily Hall Tremaine Foundation, Hampshire Foundation, and Common Sense Fund. In an interview with Business View Magazine, Stoddard speaks about the positive impact that Sustainable CT is having on Connecticut towns. The following is an edited transcript of that conversation. BVM: How did Sustainable CT come about and how do communities engage in the program? Stoddard: “Sustainable CT was launched in Nov. 2017, but we were in development for 18 months before that. A vision was set by many municipal leaders, elected officials, and other stakeholders throughout the state to create a program to accelerate, support, and recognize sustainable actions by Connecticut towns. Sustainable CT is a roadmap of best practices that towns can take to assist with liveability, resilience, efficiency, improving the local economy, arts and culture, transportation – sustainability defined very broadly. BVM: Is there a cost for towns to participate? BVM: What is the primarily role of Sustainable CT? “To get certified, a town must do one action in each of our nine categories, including transportation, local economies, planning and zoning, land preservation, arts and culture, housing, equitable community development, and natural resources. It’s broad, flexible, and all voluntary. Towns can get credit for actions they’ve taken before the program launched because we want to give them visibility as great examples. BVM: Does the program spur networking among different communities? Stoddard: “That’s one of the founding principles of the program. We want to encourage multi-town collaboration and working regionally. Many of the actions are more effective if you work with multiple towns – like a watershed plan that extends beyond the town boundaries, and transportation initiatives. We’re encouraging towns to work together on implementation. Each town gets full points for the action even if it was completed by multiple towns. “For instance: I had an email from a town that shares a regional middle school and high school. They both have solar panels and the town asked how that works for points? Three towns are attending the schools and they all contribute, based on student ratios. It’s a great example of solar in use on those schools – all the towns collaborated and will get full points. We think that towns learn best from each other. BVM: How many towns are registered and how do you communicate with them? Stoddard: “Of 169 municipalities in Connecticut, we have 63 registered. We involved over 200 stakeholders in creating the program, and once we launched, many of the co-creators were ready to adopt it. We have a small staff, but helping towns understand the program is a priority. So, if they ask us to come to a town council meeting or a sustainability team meeting, we go out directly and help them, one on one. “When it comes to communication, obviously, there are a lot of emails and phone calls. The website is a major source of information, besides peer sharing and seeing what other towns are doing. The website has an interactive platform – once towns register, they create an account and have a municipal dashboard platform to log in what they’ve done. BVM: How do you help towns deal with sustainability challenges? Stoddard: “Funding is a big challenge for towns, especially with a drop in state funding. Starting in 2019, we’ll have grants available to support local sustainability projects. 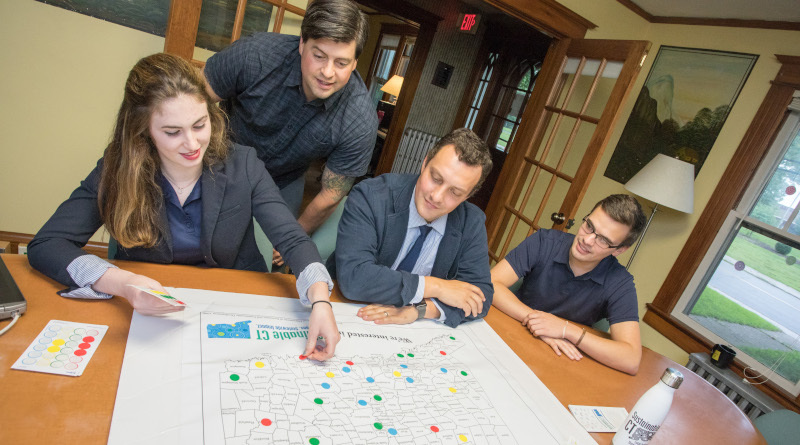 For communities that want to engage in sustainability efforts and environmental stewardship but don’t know where to start, the roadmap of best practices we’ve created will be a huge help in moving Connecticut towns forward. Check out this handpicked feature on Nu Look Home Design – Capturing brand identity.